Easy-to-print calendars, maps, graph paper and targets. Print as many as you want and share them with friends, co-workers and students! 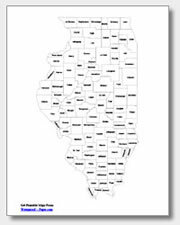 All of our printables are designed to print on a standard sheet of 8 1/2" x 11" paper. We provide them to you in convenient .pdf files that are downloadable and reliable when printing. They work on almost any printer. The calendars, maps, graph paper and targets on this website are "free to print". You can print as many as you want using the pdf files that we provide. However, we do not allow them to be used in any other way or for any commercial use. Republishing, repurposing, disassembly and use other than printing from our pdf is prohibited. As copyright holder we grant permission to print to anyone, but reserve all other rights.